4.49 out of 5 based on 696 reviews. 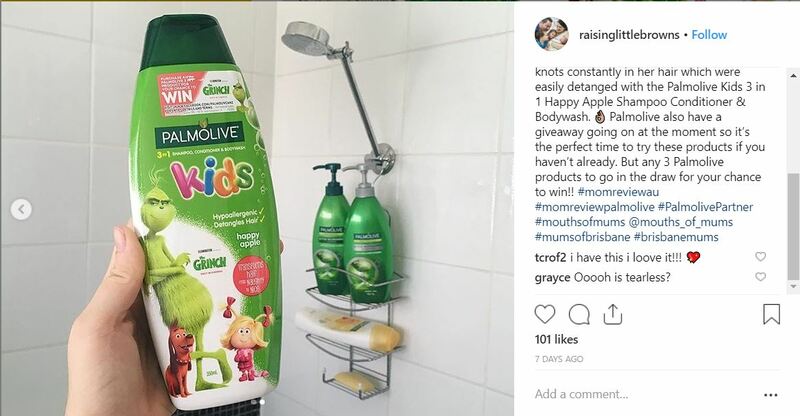 Make bath time easy with PALMOLIVE KIDS and say goodbye to knots and unruly hair! 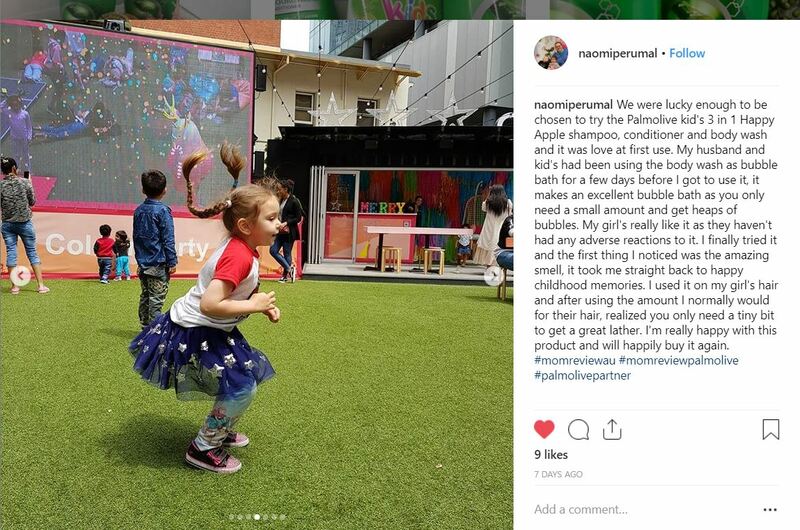 The hypoallergenic formula is specifically developed to care for your children’s hair and body. It thoroughly cleans and conditions all in one easy step, leaving hair soft, detangled and easy to comb. 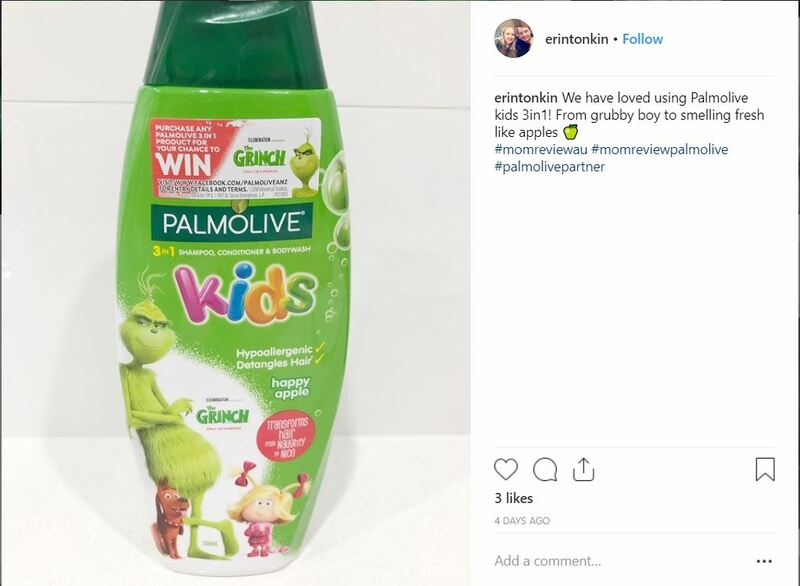 Enjoy the fresh apple scent with every wash. Now available in Limited Edition THE GRINCH packaging, Palmolive Kids is the solution to a perfect bath time, every time! 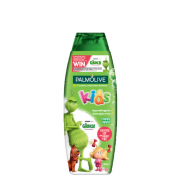 The kids are LOVING Palmolive Kids 3 in 1 Happy Apple Shampoo Conditioner & Bodywash. Check out Steph’s video review! 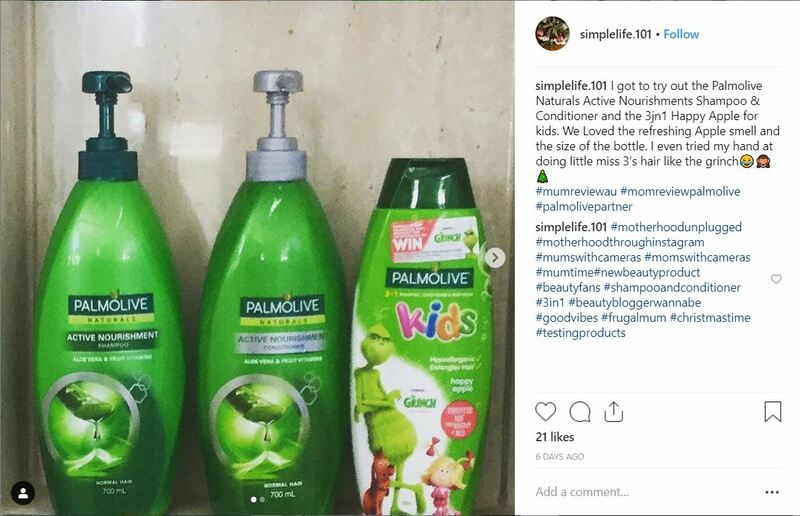 My daughter really enjoyed using the palmolive naturals 3 in 1 happy apple shampoo, conditioner and bodywash. The smell was amazing, so fresh and nice. 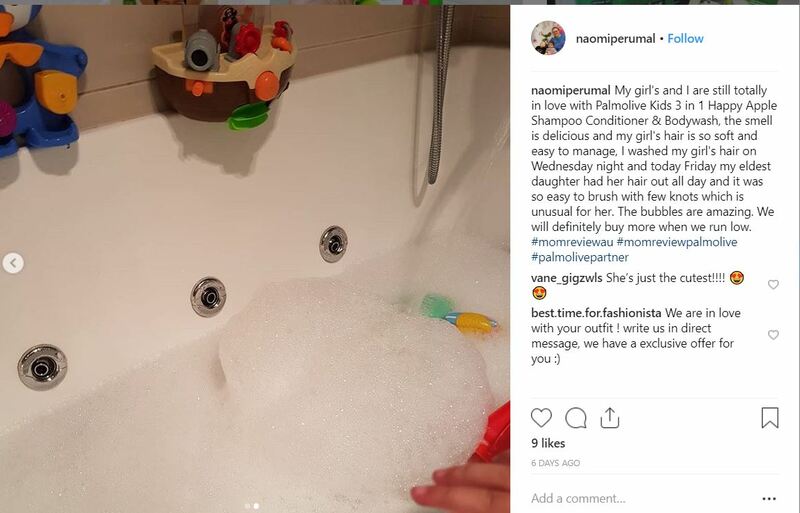 She loved making bubbles with it and the washing was easier too, because she wanted to use it. The bottle is big enough to last a little bit. I would recommend it to the other mothers, it would make the washing easier for you. 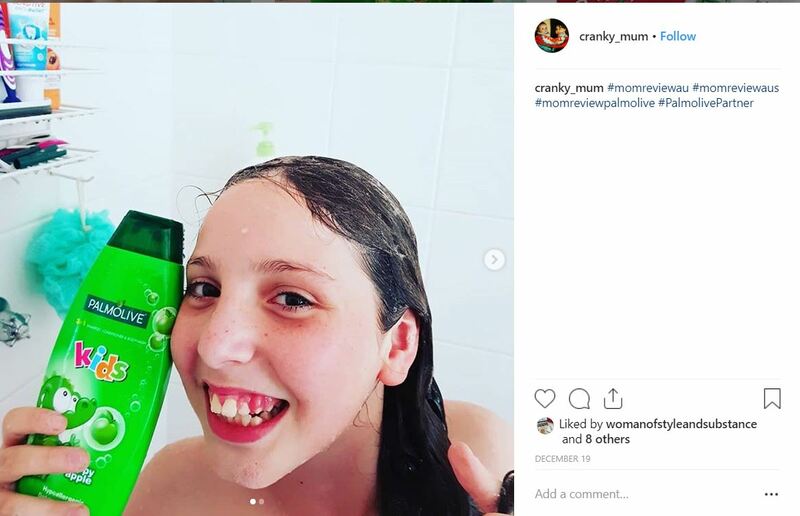 This is an independent review paid for by Colgate-Palmolive. 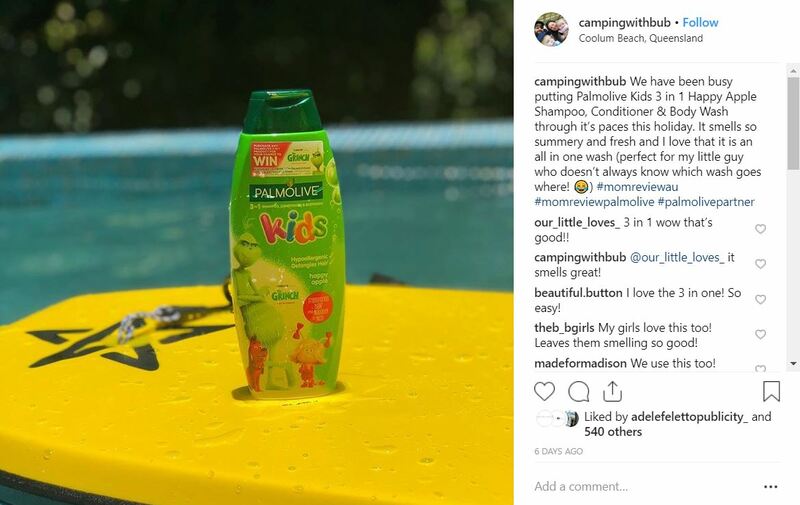 Loved the 3 in 1, shampoo, conditioner and body wash, it smelled great and left my daughters hair silky and clean and no tears! 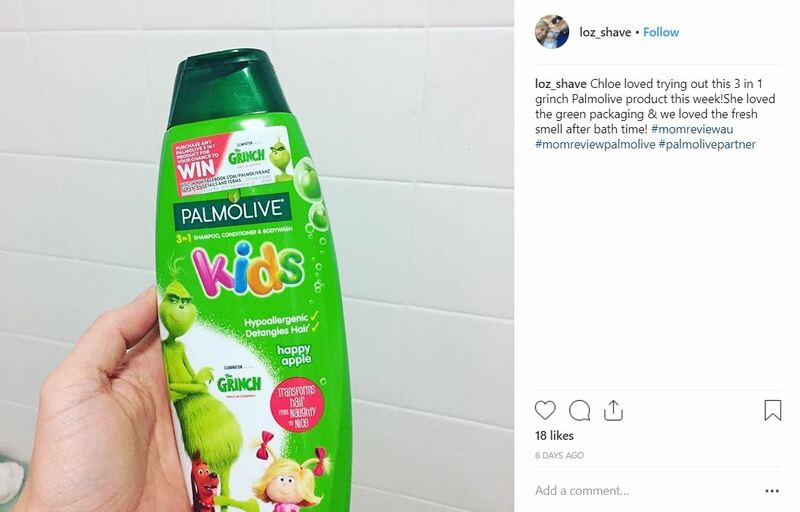 My son LOVES the Palmolive kids 3-in-1 shampoo, conditioner and bodywash. 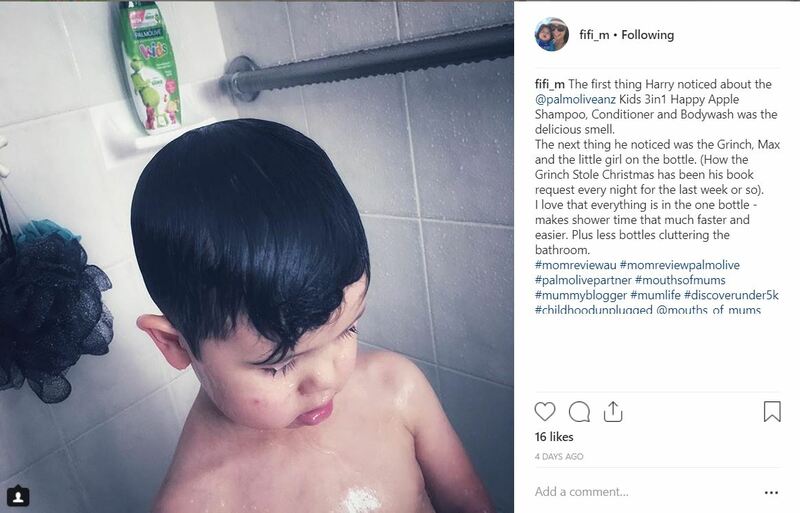 The cute packaging with the grinch really excited him, and being able to use it to wash himself made him feel like a ‘big boy’. 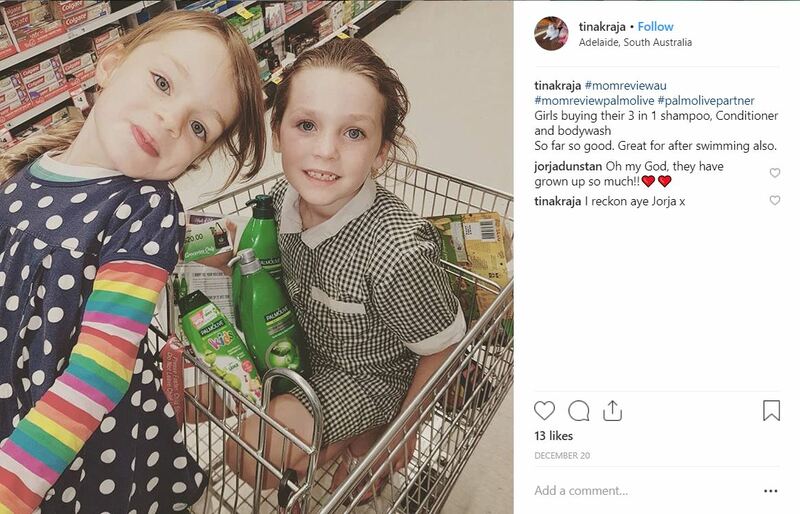 It’s convenient as a parent to only have to buy one item to do multiple things for your children. Also – the apple scent is amazing! fun and great to use. My little one loves this, we have to use it every night. 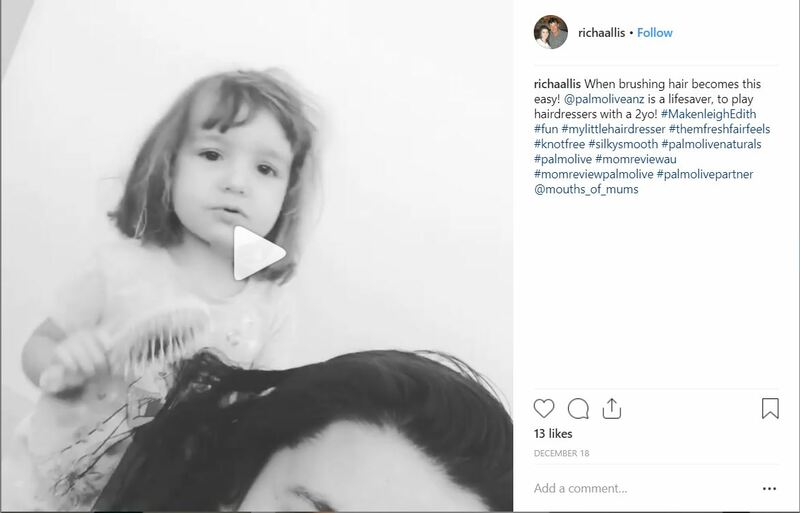 I am amazed at how long it lasts even with my little one using heaps everyday. 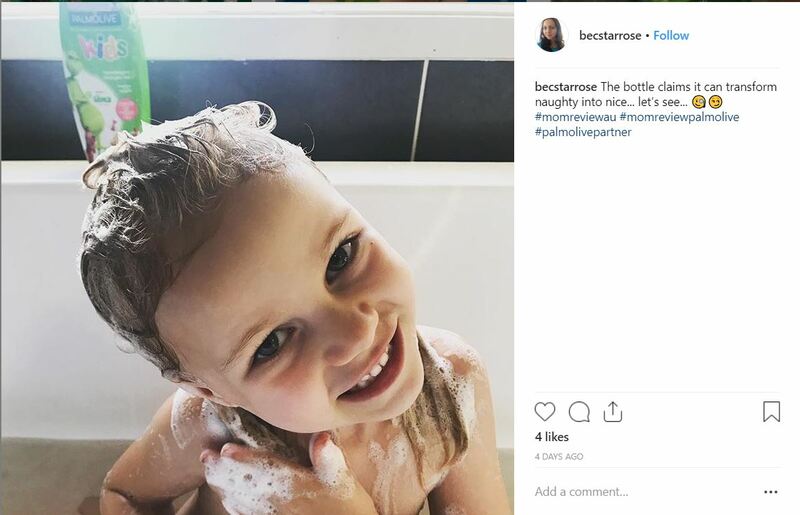 It smells amazing and is great to use for little ones, the fact the it is a shampoo, Conditioner and Bodywash all in one helps heaps and less products lying around the shower which is a bonus. 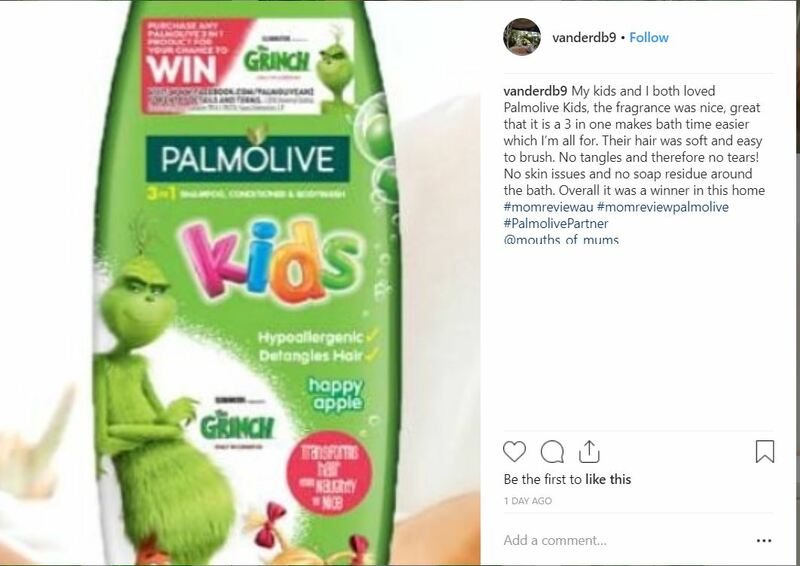 My 6 year old loves this product, when he saw the image on the front he wanted it right away, lots the smell and he tells me he feels so clean after using this product. 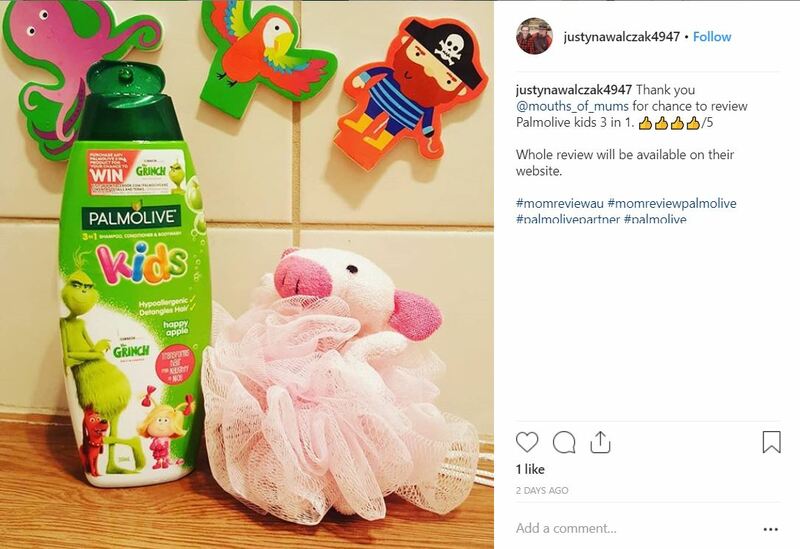 Second review: my kids have been using the Palmolive 3 in 1 Happy Apple for a few weeks now, and I’m very happy. Their hair is lovely and shiny, and the 3 in 1 is very convenient. 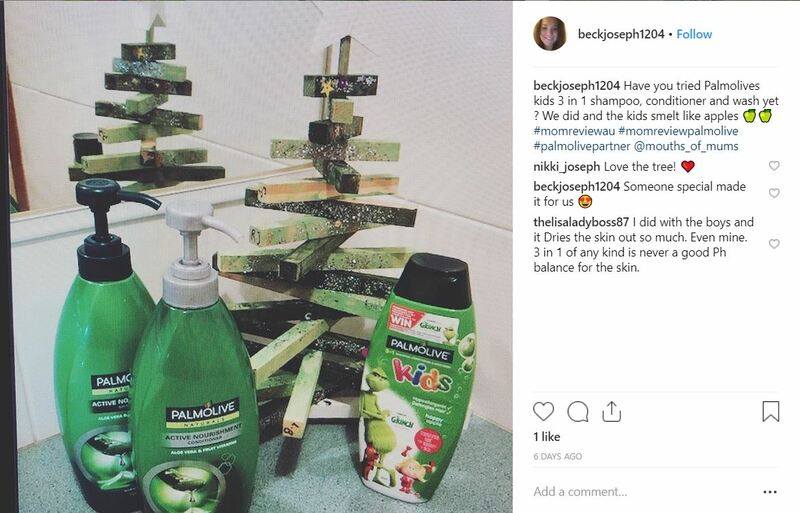 Confession: I actually decided to use it myself when we were on holidays over Christmas. 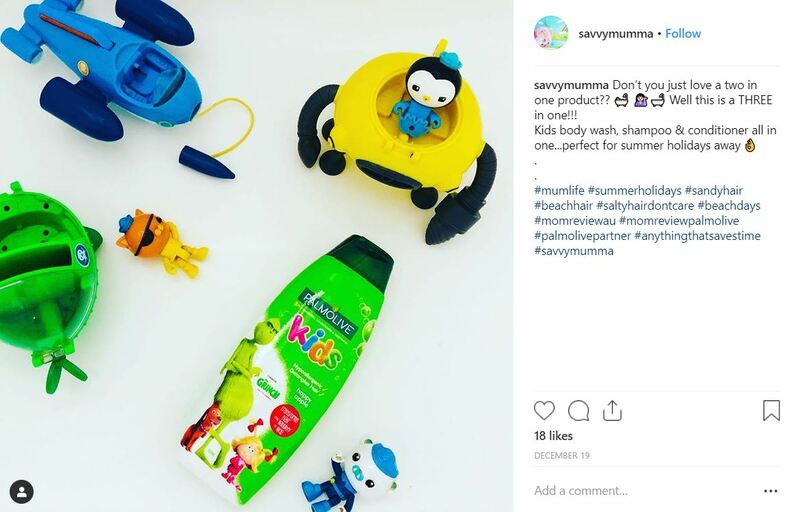 I wanted to keep packing simple, so I thought ‘why not give it a go?’ I was pleasantly surprised that the 3 in 1 managed to tackle the oil mudslide *and* leave my ends conditioned after a few swims in the pool. 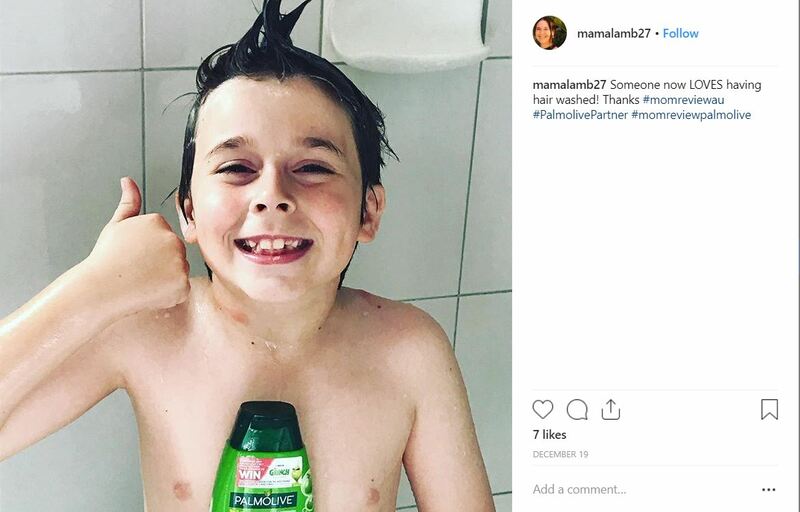 As a body wash, it was pleasant to use. The apple scent is lovely, and not too overwhelming. I’ll definitely keep using this product! Great value for money. 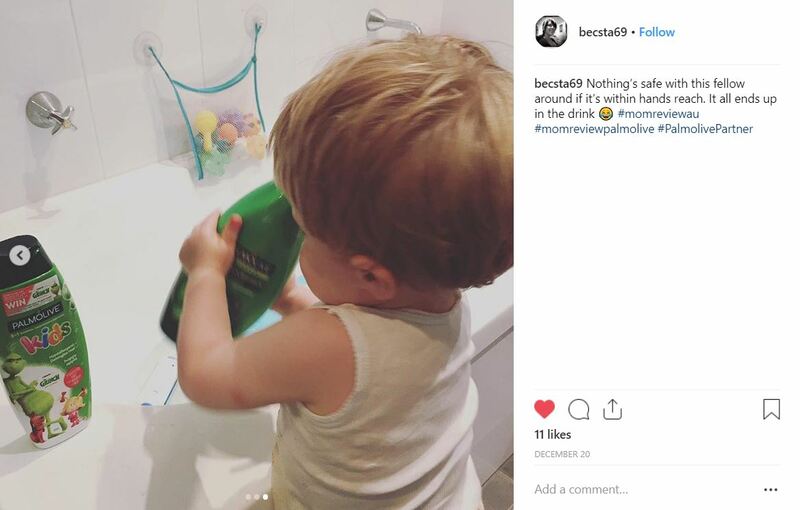 Great product, smells great and our boys even let us wash their hair with it without a fuss. 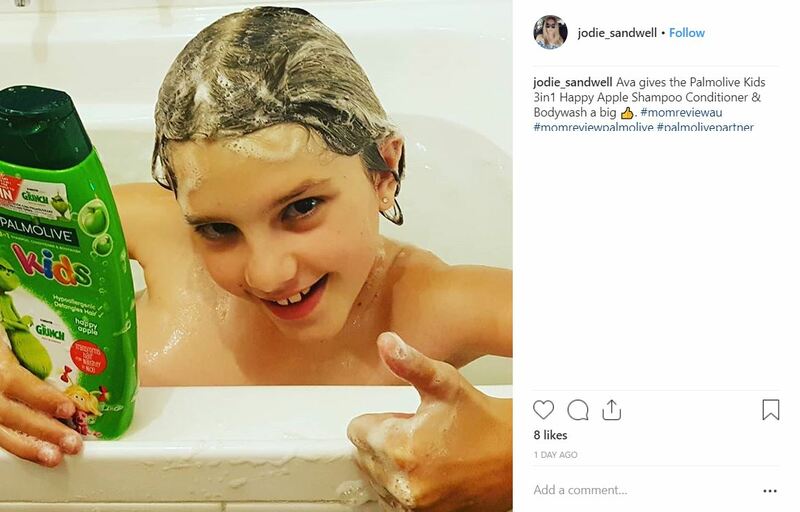 They both have sensitive skin and often get rashes or dry skin from body washes and they didn’t this time. 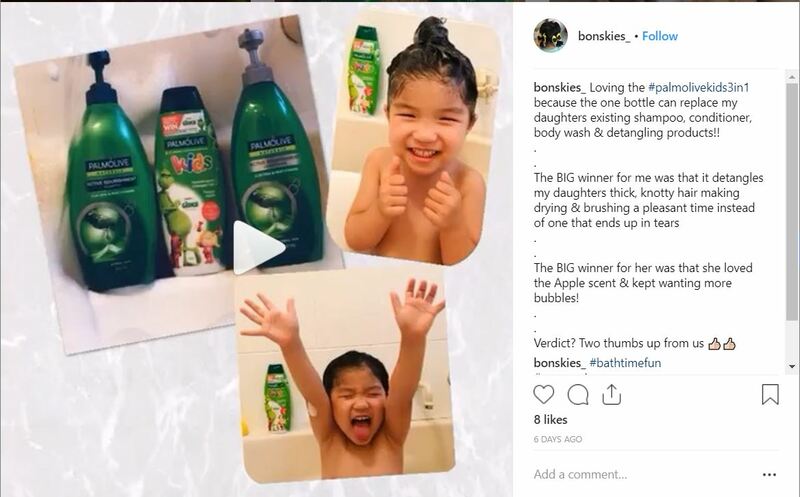 They liked the bottle and the smell and asked for the nice smelly in the bath next time. 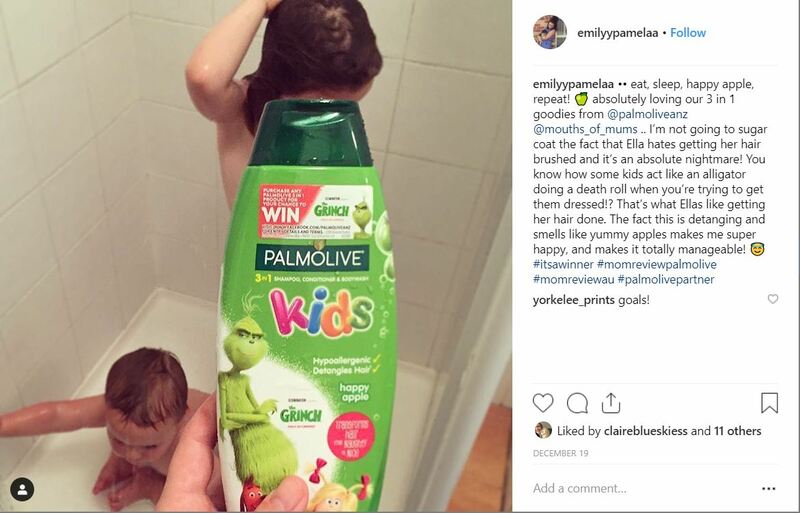 I am certain I have used Palmolive apple scented shampoo before but quite a while back and I am sure it was for hair and not body as well. So when I saw the new version in store I decided to give it a try. 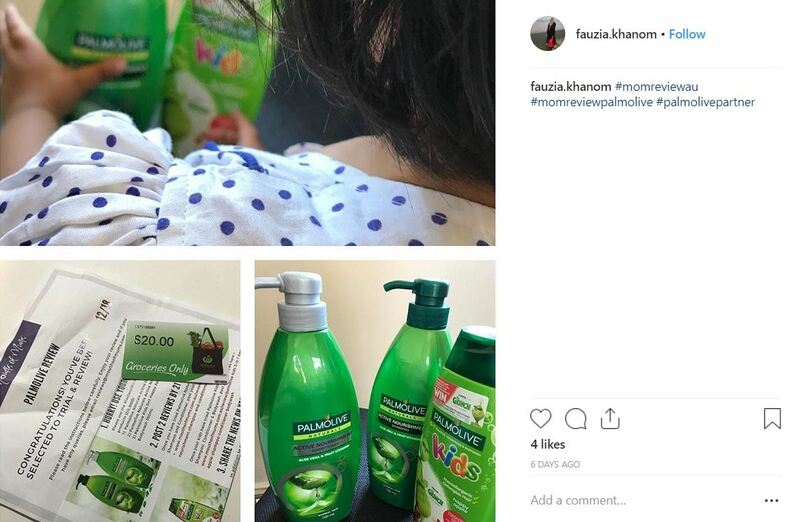 I regularly purchase items on special etc and do up hampers for our domestic violence shelter so I though a product like this would be perfect (one bottle/product does three things) perfect I thought. 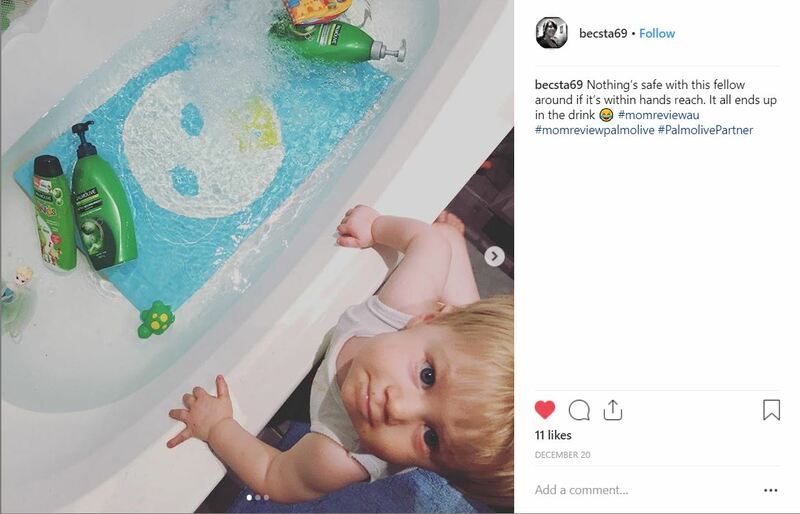 I initially purchased a bottle for our home as well so I could test drive it so to speak and I can say I was amazed. Lovely apple fragrance liked I remembered that left you hair fresh and apple crisp but the joy was that this amazing product was also for the body as well (brilliant) . Saves space in the bathroom and purchasing one product that does three things is sooo economical. You have won me over. Shiny, smooth and gentle product. 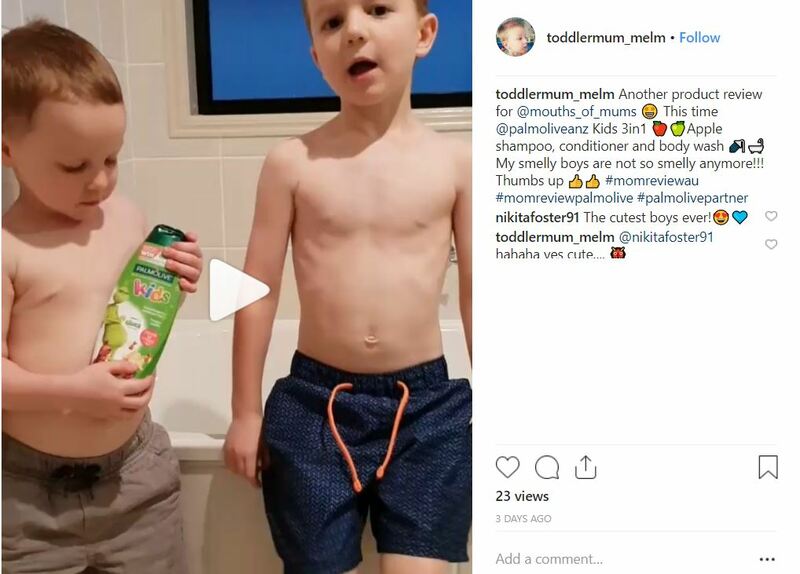 I love using Palmolive Naturals Kids 3 in 1 Happy Apple Shampoo Conditioner & Bodywash on my 2 boys. It left their hair shiny, smooth and smelling so nice. Definitely I will buy this product. The product smells nice and my son looked forward to using it during bath time because of The Grinch! It smelled nice but the scent didn’t linger but then again I have a very active child! This fell under the budget and is a great product over-all. 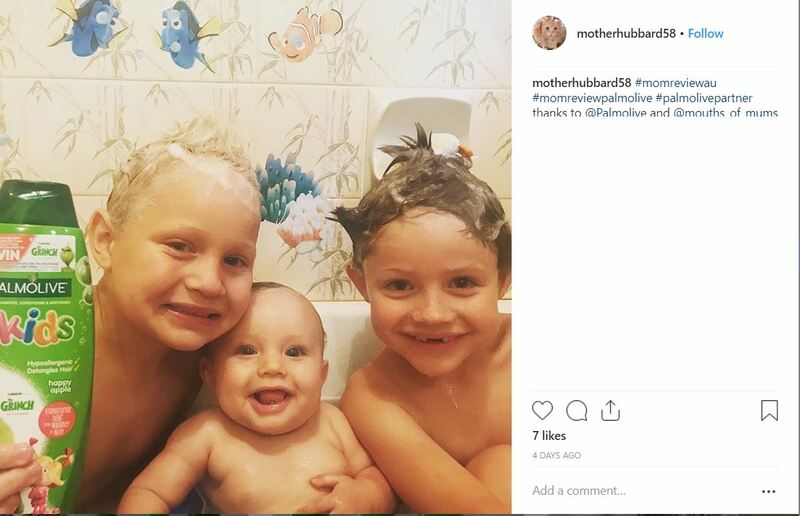 I have two curly haired kids out of my three little ones so it didn’t work out for me. 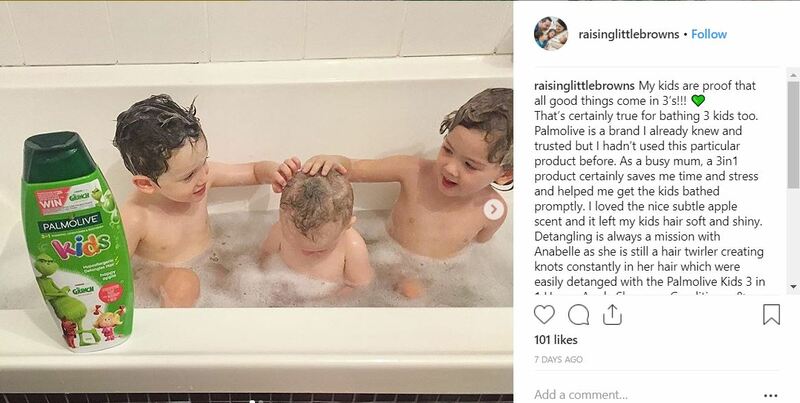 I found detangling their hair difficult and it was drying for their hair. I will be sticking to my current products for their hair but I do like the price point of these products. 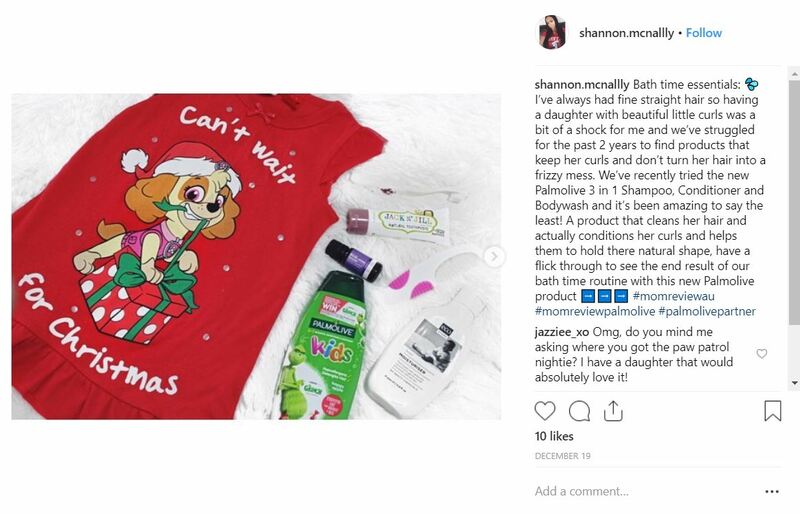 Unfortunately this flared my daughters psoriasis up, So I won’t be purchasing again. This product has a pleasant and refreshing smell. I have a 4 year old and a 1 year old. 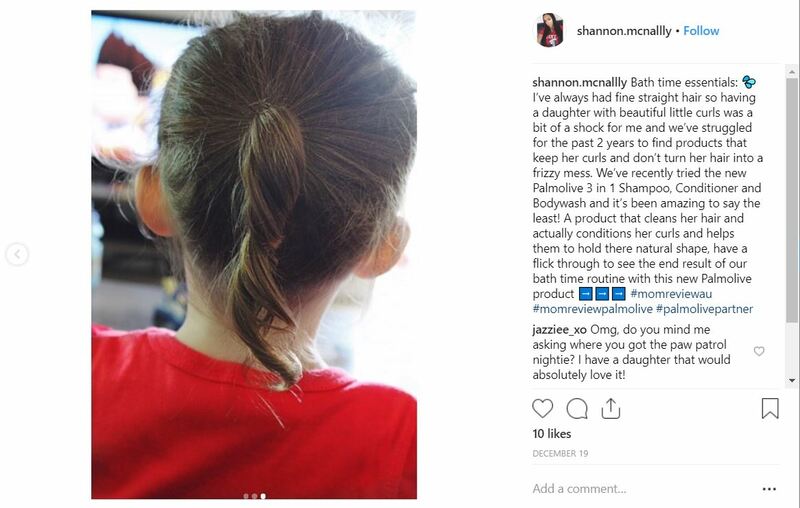 My 4 year old has normal skin and thick hair, and has not problems using this product. 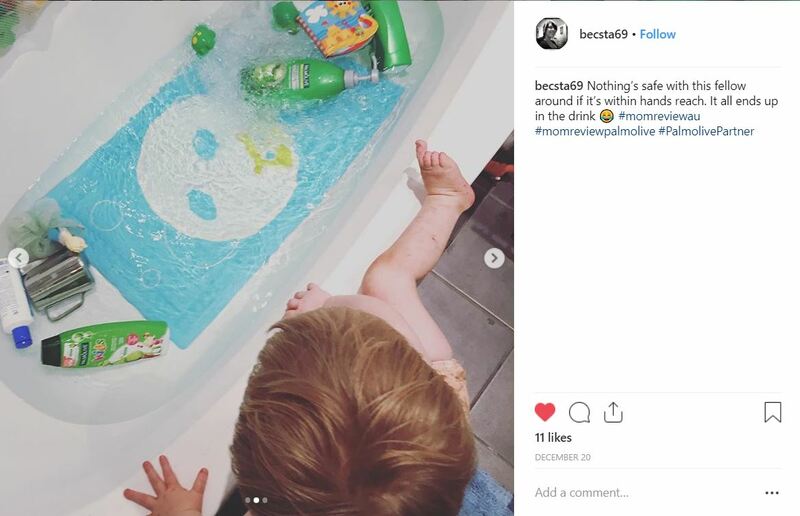 My 1 year old on the other hand suffers from eczema. 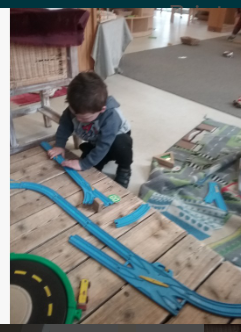 After the first few uses he had no reaction to this product, however I had to revert him back to using his usual product. 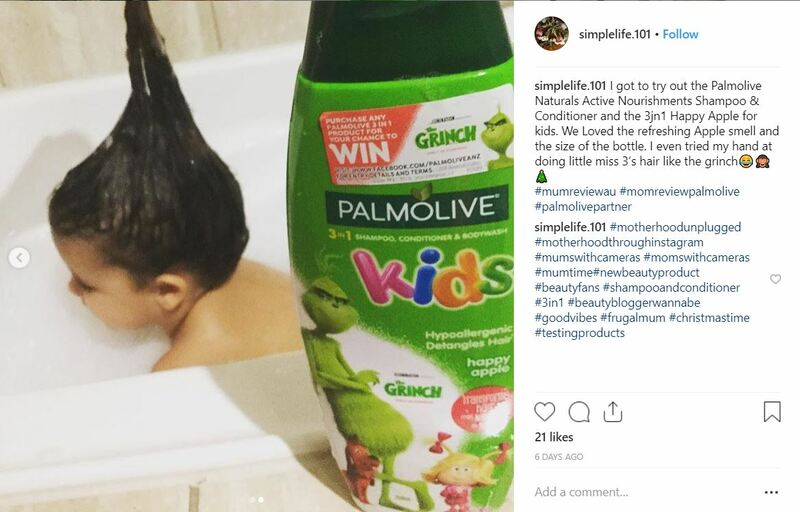 I have purchased the 3 in 1 Palmolive shampoo, conditioner and body was for my daughter and it makes bathtime more enjoyable for her. It smells great, detangles hair and is provides a fun environment. The 3 in one shampoo, conditioner and body wash was very nice smelling. 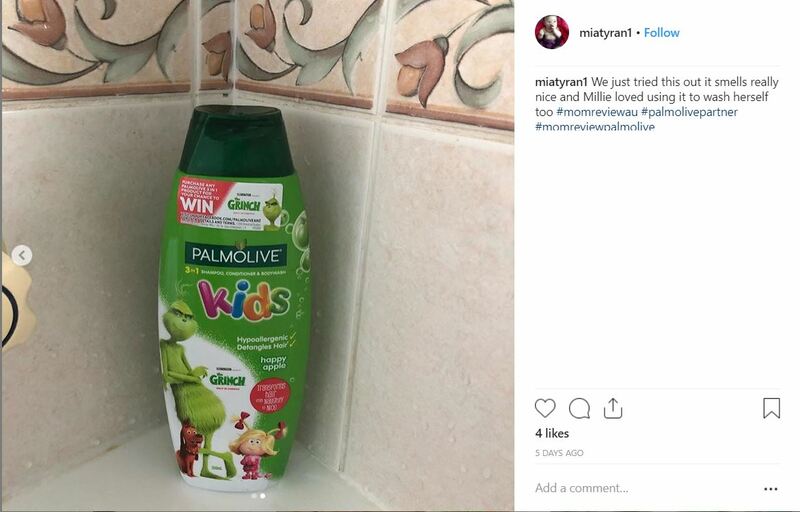 The kids loved the smell and thought it was great to use. 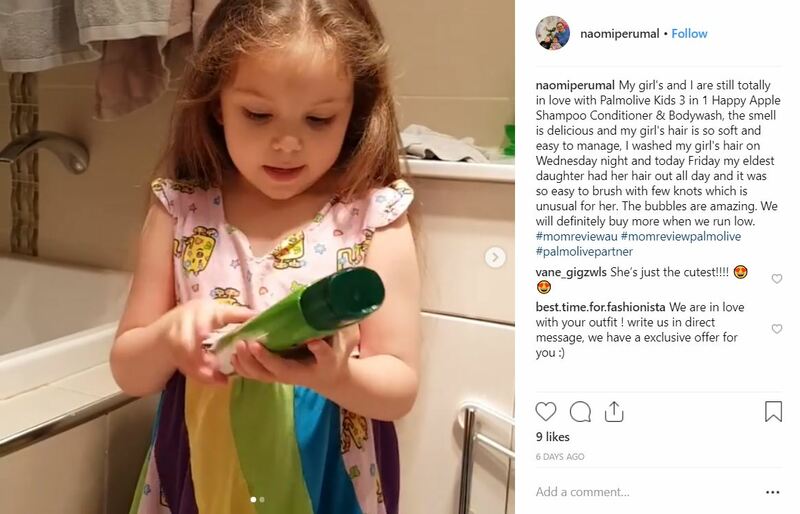 It was nice on short hair for my 2 boys but my daughter has long thick curly hair and it wasn’t as good so we put on the added conditioner which was ok. 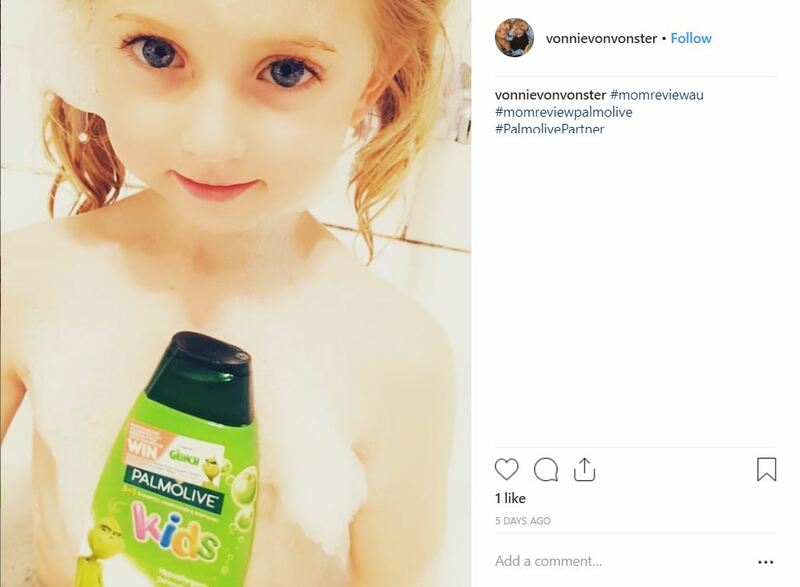 I would buy it for the body wash side but not put it in my daughters hair again. Overall it was good. 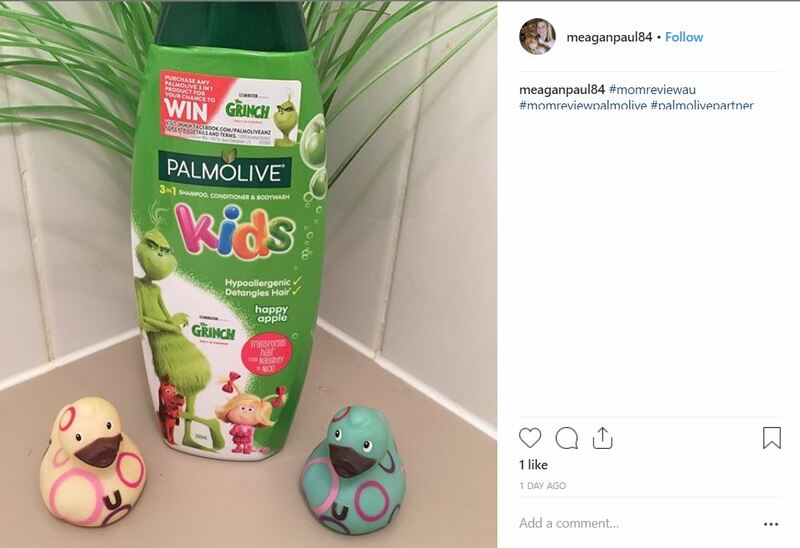 A three in one for kids, who would’ve thought?! What a great idea. 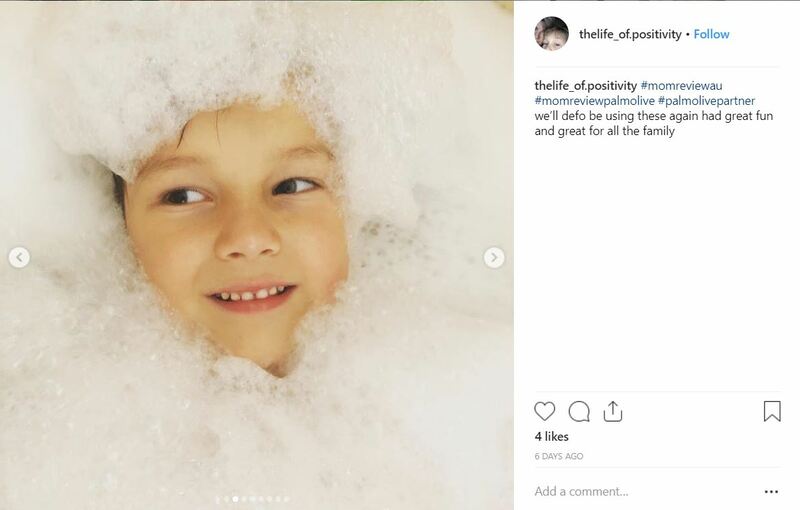 I love this product, makes bathtime easier as well as lightens the load at grocery time. 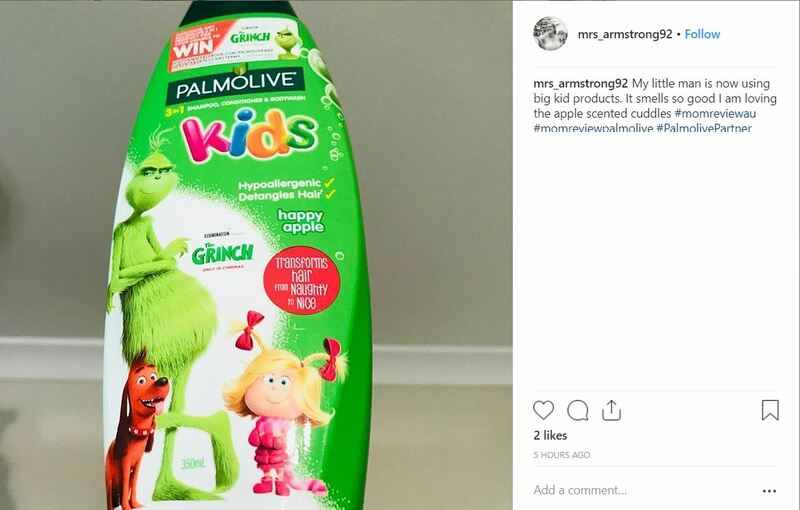 I particularly love the apple scent, brings back lots of memories. 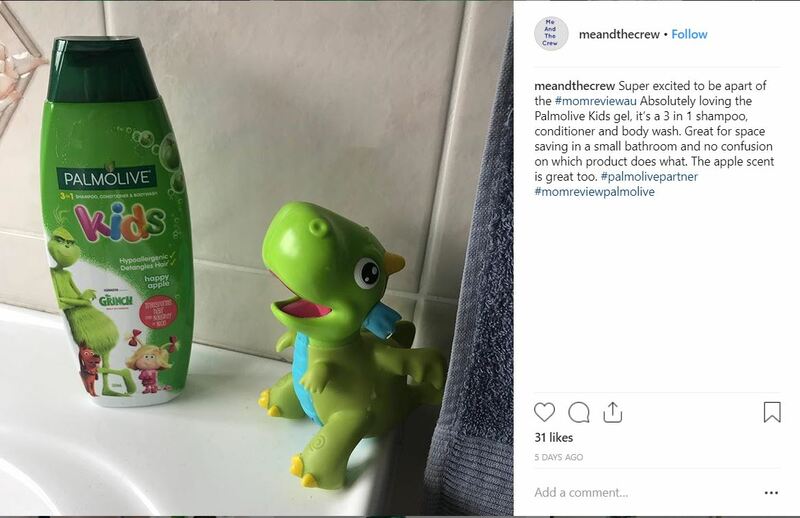 The kids love it too and are always squeaky clean after using it at bathtime. Very happy camper here. Replacing 3 products with one is such a genius idea!